BlackBerry has confirmed it will shut down its official app store in 2019, which has highlighted the fact the phone platform still has a marketplace to download apps. 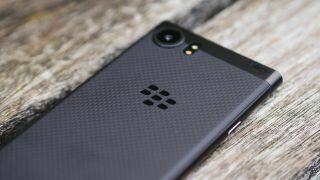 It has been two whole years since BlackBerry announced a new device running BB10 software and the manufacturer has confirmed the software will only get any kind of support for another two years. In fact, BlackBerry is set to start its software shut down process next year with BlackBerry Travel and Playbook video calling being discontinued from February next year. Whether you'll still be able to use these services after the shut down is currently unclear. We do know for certain the whole BlackBerry World app store will be shutting down for good on December 31, 2019. Phones such as the BlackBerry Passport or even the BlackBerry Classic will then be without a way of downloading new apps. If you're still a BlackBerry user, the good news is there is a variety of devices from the company that are running Android software that you can upgrade to. Android-toting devices from the company include the latest BlackBerry Motion as well as the DTEK 60 and DTEK 50 handsets too. Have you read our hands on BlackBerry Motion review?